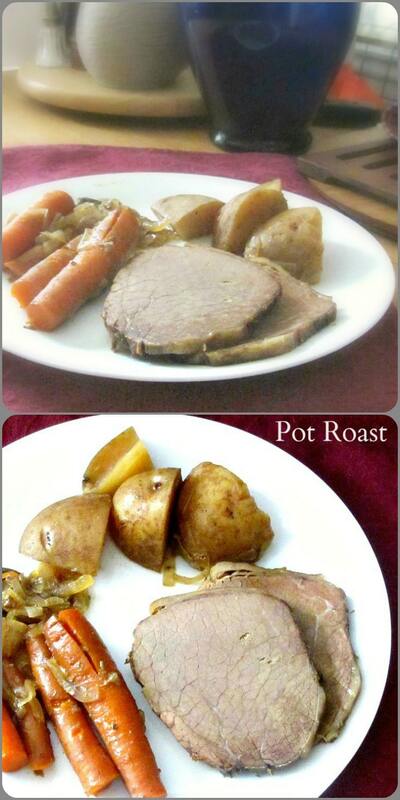 Looking back, I apparently write a pot roast recipe every year. 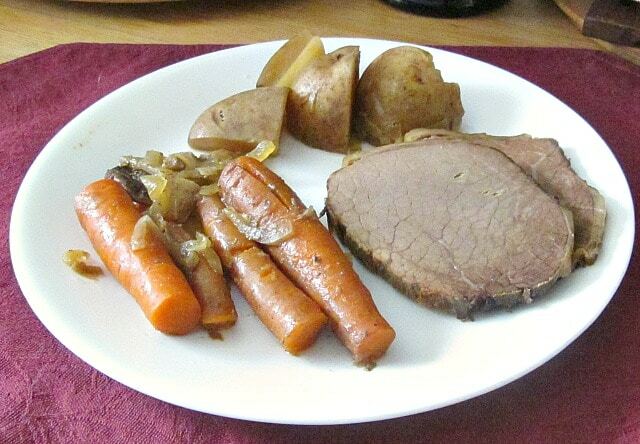 Well – everyone who eats meat needs a few good pot roast recipes, ranging from simple to complex! And a relatively few changes can make a real difference. The slow cooker was made for the pot roast. That long slow simmer tenderizes tough cuts of meat, melds simple flavors into a complex whole, and produces a delicious meal, with a flavorful broth that can be either used alone or thickened for gravy, as you choose. 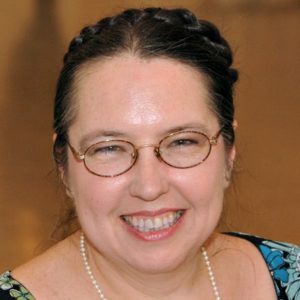 When people have to go off gluten, their first concern, of course, is bread and cake – that’s obvious. 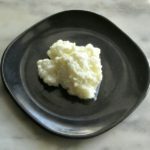 But for many people an equally disruptive and longer lasting issue is that so many of the convenience foods and seasonings they learned to cook with have gluten. There are companies starting to work with this – McCormick’s, for instance, has been developing a fine line of gluten free gravy mixes (and more interesting and useful to me, reliably gluten free herbs and spices.) And if you were diagnosed last month and need dinner tonight, and that packet simplifies a difficult week, go for it. But – while you’re at it – look at the ingredients. Do you really want to pay that much for, essentially, starch, sugar and a bouillon cube? (Especially if costs for other staples have just skyrocketed?) 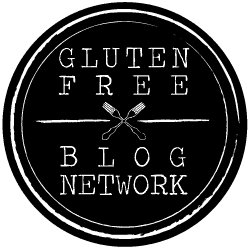 Even if gluten or other food sensitivities aren’t an issue? 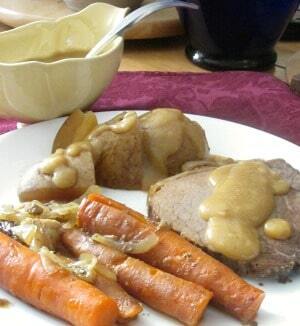 The phrase Au Jus does not properly refer to thickened gravy, but to the natural juices that seep out of a good beef roast or steak when cut. A good cutting board has channels to catch the drippings, so you can then spoon them over the meat. The flavor is intense and delicious. 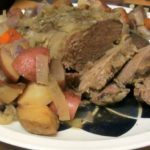 A pot roast is different, because of the longer and slower cooking, and because you add at least some other moisture, but still, most of the flavor comes right from the meat. In this version, I cook more vegetables with it, and want more liquid. 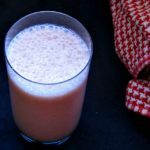 Juices will eventually come out of the vegetables and meat, but it is better to have liquid to start the process, so the potatoes and carrots simmer. I could use broth, I chose to use water with dried mushrooms. 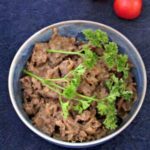 You can use any dried mushrooms you can easily get (without breaking the bank – some are quite expensive!) 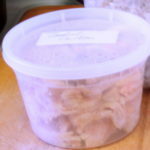 But I can get inexpensive dried shiitake mushrooms at local Asian stores – and I believe they have become more readily available around the country, as larger supermarkets improve their international aisles. One small package lasts for quite a few meals. So the first thing I did was take six dried shiitake caps (these were smallish, you could use fewer large ones) put them in half a cup of water and microwaved for 30 seconds. 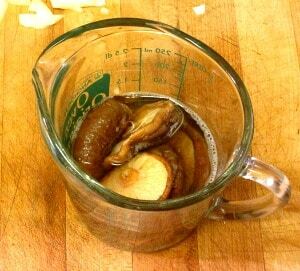 (You could also just pour hot water over the dried mushrooms) Then I set them aside to soak. I prefer to soak them before adding them to the pot, to be sure they soften properly. You can, of course, skip this and use ready made mushroom broth, or any other for that matter. Then pull out the root vegetables – onions (of course!) carrots, and potatoes. You can add turnips or others if you have them on hand and want to, but these are the basics, the classics. Peel and quarter the onions, and slice them thinly. 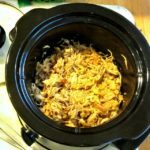 Most vegetables go into a slow cooker in big chunks to preserve texture, but melted onions add so much to the flavor… Put about half the onion in the bottom of the slow cooker. Scrub and trim the carrots – these were thin, so I just cut them in half across, you may want to spit a thicker one. Basically cut the largest pieces that make sense on a plate. Add them. 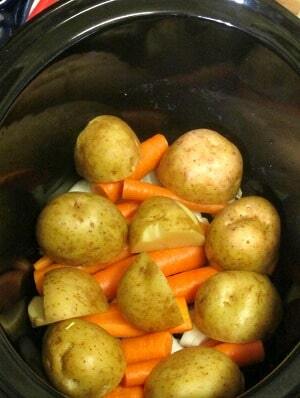 And do the same with the potatoes – I cut some in half, the larger ones in quarters. Then pour the mushroom soaking liquid into the pot. Note: this has never been an issue for me with shiitake, and not with most other dried mushrooms I have used, but some are sandy… My older recipes all call for straining mushroom soaking liquid through a coffee filter or something of the kind. If you use mushrooms from a new source, take a good look at them, and strain if there is any grit – that would ruin a gravy fast. As I said, I don’t have this problem, but – I’d rather you were prepared, just in case. Then sort of tuck the mushroom caps down in among the vegetables, and add another half cup of water. 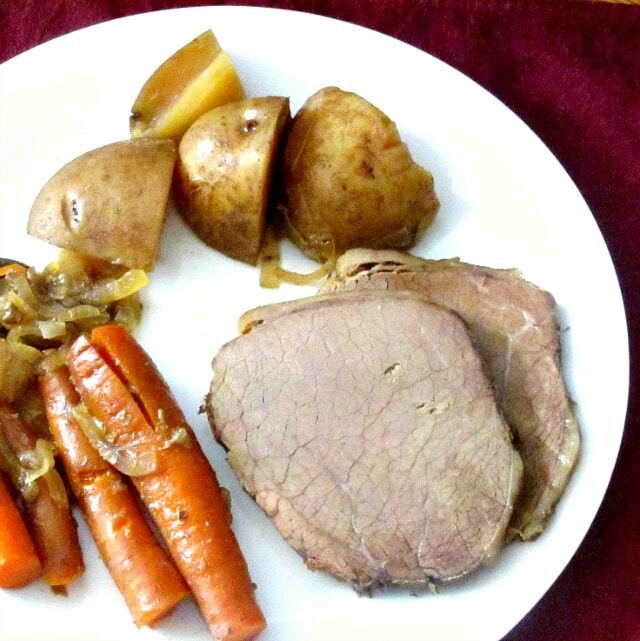 Take the beef roast, now, and place it in the pot on top of the vegetables. The ideal, as far as texture goes, is for the vegetables to be submerged for much of the cooking process, and the meat to sit on top “roasting”. (It’s not really a roast, of course, which is dry heat – but if it sits in the liquid it can cook to shreds, which is not what you want here.) 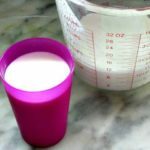 The liquid does not cover the vegetables at this stage, but that’s fine – there is enough. And take the remaining onion and strew it over the top – it adds just enough moisture, and plenty of flavor. And sprinkle a little salt – maybe half a teaspoon. Oh – in a perfect world, it would be really nice if you took out a fry pan and browned the outside of the roast first… but honestly, I almost never bother… I don’t find it makes as much difference here as in a stew. This was eye round, which sliced nicely… and had no gristle, which has its points. Pot Roast with mushroom broth - simmered in a slow cooker for an easy, richly flavored meal. Thicken the broth if you want gravy! Put mushrooms to soak in one cup warm water. Peel, quarter, and slice onions thin. Trim and cut carrots and potatoes in large pieces. Put about half the onions in the bottom of a slow cooker, layer carrots and potatoes on top of them. Pour in mushrooms and soaking liquid, tucking the mushrooms down among the vegetables. Place the roast on top of the vegetables. Strew the rest of the onion on top of the meat, and sprinkle with salt. Serve with the flavorful broth, or thicken the broth to make gravy. I want to make this recipe, for sure. Being able to put it in the Crock Pot is an added bonus. 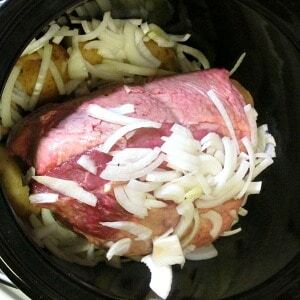 The crockpot is just so perfect for pot roast... I hope you enjoy it! Lots of great information in this post! I love the flavor of dried mushrooms and often use their liquid to flavor risottos and things. Excellent! 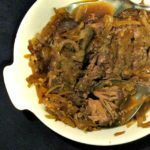 I LOVE pot roast but have never made it using mushroom broth. What a great idea! Thanks for sharing! Thank you! Mushrooms go so well with beef. I mean, I use them in other things, too, but this is a particularly good combination - deep and rich flavor. Well, enjoy it when you do! Thank you! It's officially spring and the temperature dropped on the first day of spring! I was confused.. Is this the first day of fall or spring mother nature?? But anyway... 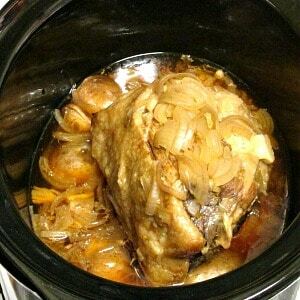 This pot roast is a great comfort food for me right now! Loving the shiitake mushrooms added to your recipe! Yummed!